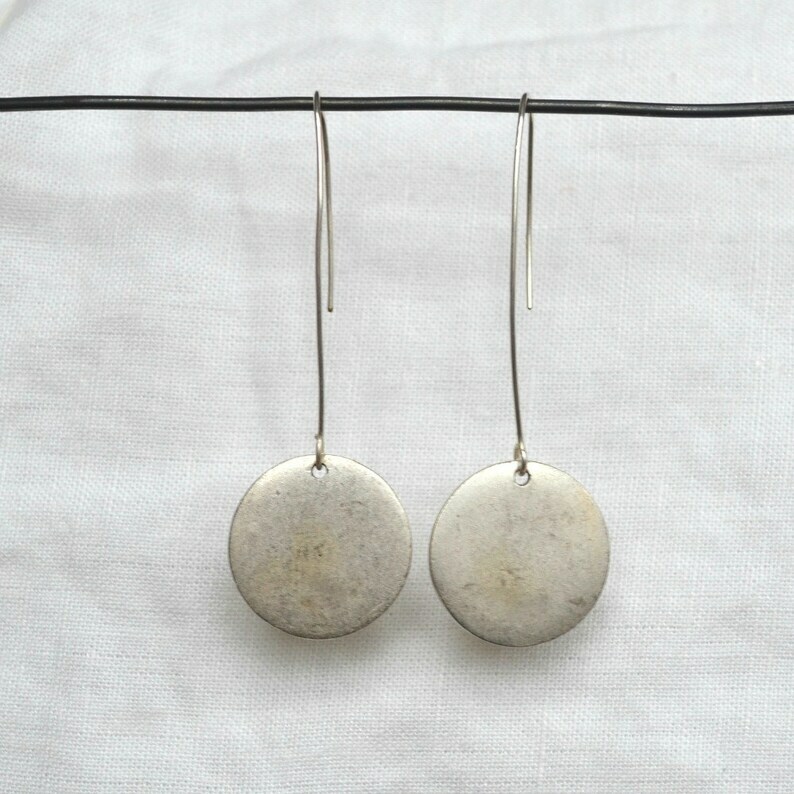 This simple chic silver earring works with everything. Great paired with hats or other statement jewelry, wonderful with all the layering pieces of the season. Hand-antiqued each pair is original with slight variations. Sterling Silver plated medallion is approximately 13/16" in diameter. Hand formed sterling french ear wire. Earring length is approximately 2 1/4".